How much money do you lose to stockouts and overstocked items every year? Unless you have a robust inventory management solution in place, stockouts and overstocked items could be costing you a small fortune. According to the IHL Group, overstocks and stockouts cost retailers a combined $1.1 trillion in lost revenue in 2015. That works out to a combined average loss of 7.3 percent per business reported on. That’s a lot of money, and you deserve to reclaim that 7.3 percent of profit you rightfully earn every year. To help you do that, we’ll shed light on some the ways that you can prevent overstocks and stockouts. By the end of this post, you should have a better idea of how to achieve stock levels that are “just right”. First, overstocks cost money. Carrying costs of overstocked items can be anywhere between 18 and 75 percent of the products’ original value. Many logistics and supply chain experts use 25 percent as a rule-of-thumb figure. Secondly, stockouts erode customer trust. Shoppers who want to purchase items you don’t have in stock will buy from your competitors and are far more likely to return to that retailer when they need new products in the future. Even if a customer does not immediately purchase an out-of-stock item from a competitor, forcing customers to backorder items affects their overall level of satisfaction. Not to mention, backorders almost always carry higher overhead costs, so you are still losing profit due to inefficiency. If you have a few years of sales data to work with, you can predict sales performance for individual product lines with unerring accuracy. To do this, adjust your monthly sales trends for overall annual business growth by calculating sales trends using an average index of each month’s sales. For example, combine your last 5 years of January sales figures and divide by 5 to create a January Index, then compare each month’s index. This will help you forecast your sales for that month, so you can order stock accordingly. If calculating years of past data doesn’t sound appealing, there are inventory management solutions that can do this for you. Most modern platforms can track real-time sales data and alert you when your top products are running low, and more sophisticated software will provide highly accurate future sales predictions. Most stock issues are entirely preventable. How? By using the right technologies, particularly when it comes to point of sale and inventory. Ideally, your inventory system should connect to your point-of-sale to keep track of sales and inventory at the same place. This helps ensure that no discrepancies exist between sales and inventory figures. For this reason, it’s critical that you select an inventory solution that can “talk” to your POS, or better yet, choose a solution that offers both POS and stock control functionalities. 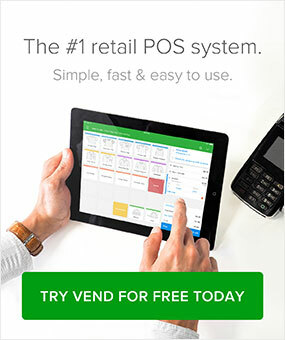 Ditch the cash register and spreadsheets. Instead, find a modern retail system that enables you to sell and manage your products efficiently. Also, remember that when it comes to stock control, you need more than accurate data – you need data that is both accurate and up-to-date. Without a system for verifying inventory data like this, you will never be able to predict future sales and prevent stockouts. Use the cloud. Cloud technology gives you 24/7 access to your inventory data from any mobile device on the planet. Instead of hosting your data on an expensive on-site server, you simply rent server usage for a monthly fee. It’s faster, easier, cheaper, and more importantly, more secure than using an in-house data solution. Implement item-level RFID tags. RFID (Radio Frequency Identification) comes in the form of chips embedded in product tags or packages. These chips contain product information and enable retailers to track items using their stock control system, so merchants can gain real-time inventory visibility and accuracy. The combination of these two technologies gives you the ability to track the movement of products in and out of your store in real-time. When you have a POS and inventory management system capable of reporting real-time figures, you can move quickly and make better stock control decisions. Overstocking and product surpluses are a big retail headache. They can be huge profit-eaters, especially in industries that deal with perishable items. As with stockouts, accurate and up-to-date data are critical to reducing overstock. But there is an extra step that you can take when ordering new products to avoid surpluses. Kanban is a visual productivity system invented by auto manufacturer Toyota in the 1940s. The system establishes a set maximum for each product, part, or material and uses colored cards to alert supervisors when stock is low. This triggers a re-order only up to the original maximum quantity. Check out the image above. Each column represents a “bin” that houses your item, and the squares represent the amount of product in each bin. You should move cards into the next columns as you sell your products so you can have a visual representation of your stock levels. The reason the KanBan system works well is it usually increases the frequency of product replenishment intervals. You are ordering less inventory per order, but ordering more often in response to actual customer purchases in real-time. At first, it may seem like ordering more often will cost more in the long run due to increased shipping costs. However, once you take into the account the cost of expensive rush orders made to compensate for stockouts and the carryover cost of keeping a large inventory, it usually turns out to cost less. KanBan is a system to use in addition to your inventory management solution. You should always rely on your inventory data when making product ordering decisions, but when it comes to fast-moving items that are harder to track, consider using the KanBan to make the job easier. Still dealing with surplus stock? Check out this article to learn how you can liquidate your excess inventory. Tracking your stock levels using your inventory system is all well and good, but you also need to have a handle on your physical inventory counts. After all, the numbers you have on screen may not match up to what’s actually in the store. To prevent any discrepancies, make it a point to physically count your merchandise regularly. You can do this by doing full inventory counts or by cycle counting — i.e. the process of partially counting merchandise on a continuous basis. You can also choose to do both. Whatever you decide, aim to count all of your products at least once a month, or at the very least, once every season or quarter. Taking a physical count of inventory is a must for any retailer. Check out this post for our top 10 tips on to make retail stock taking a whole lot easier. Hopefully, the tips above gave you some insights that you can apply to your own stock control efforts. 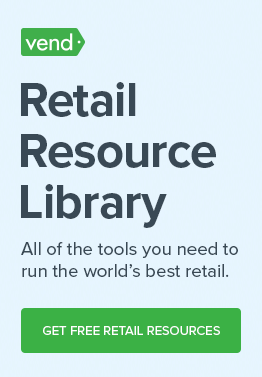 Do you want to learn more about retail inventory management? 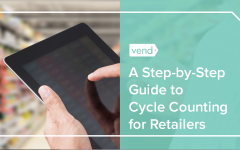 Download our comprehensive guide and learn how to reduce stockouts and overstocks using the latest technology on the market.